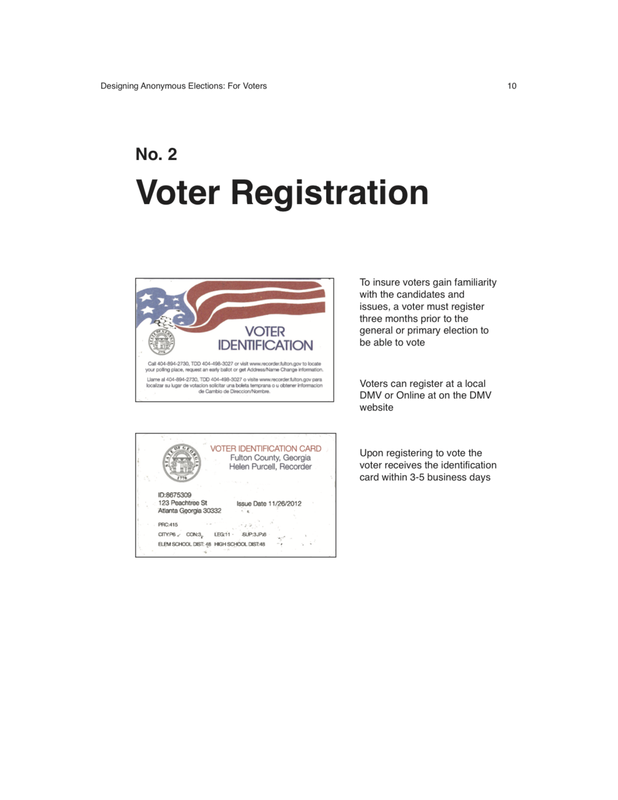 Anonymous elections is speculative design work that examines how to refocus voters and politicians on political issues rather than identity politics. This work focuses on the design of artifacts around elections as well as the process of anonymous elections for both candidates and voters. I asked an important question before I began my design process: Is there real world basis for this working? To answer this question I researched anonymity through different computer mediated communication journals from the last twenty years. A common finding by researchers was that anonymity increased group salience and social identification of individuals with the group. Identity politics distracts voters and politicians from real world issues facing their communities. 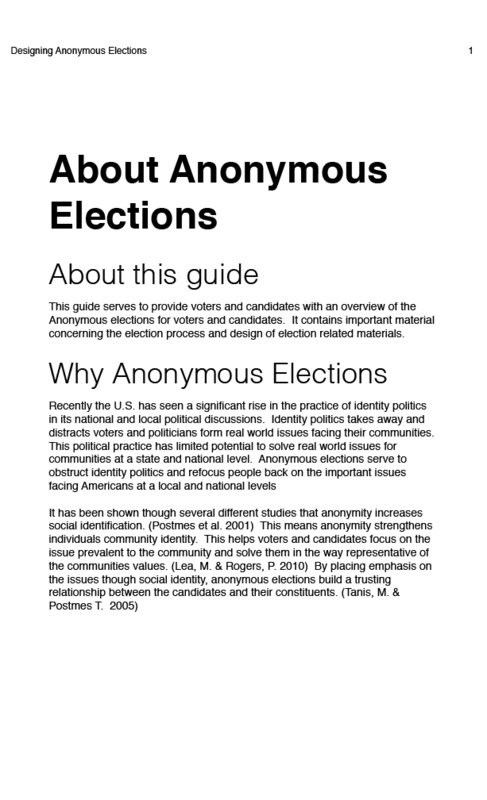 Anonymous elections, serve to obstruct identity politics, strengthen the group identity of voters and candidates, focus involved parties on issues, and aid the election of representatives that best express the values of the community. 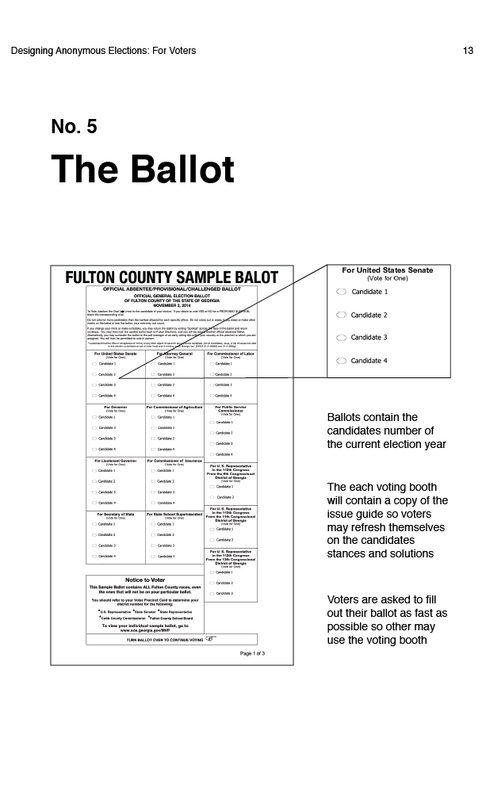 To read the full Anonymous Elections guide book click here.